Evidence suggests that the Babylonians were the first to make vinegar from fruits in 5,000 BC. Ancient civilizations in China and Egypt used vinegar as a preservative as well as a flavoring. Greeks used cider vinegar to treat respiratory illnesses. The Bible mentions its use as a medicinal tonic. Through the ages, other cultures prized vinegar for its astringent and disinfectant properties. Today, vinegar is commonly used in cooking as a preservative and as seasoning. Many people still use vinegar as a natural household cleanser, beauty aid and health enhancer. Rich, brown balsamic vinegar comes from grapes harvested late in the season. After crushing the grapes, the juice, or "must," is simmered slowly over an open fire. The cooking process evaporates most of the water from the juice, leaving a thick, sweet syrup that is poured into a keg or barrel. Airborne yeasts entering vents in the containers begin the natural process of fermentation, which transforms sugar into alcohol. Bacteria acting on the alcohol turns it into acetic acid. The liquid is poured into smaller wooden containers where it ages for a minimum of 12 years to become balsamic vinegar. Balsamic vinegar retains many of the nutritional benefits of the grapes from which it is made. Rich in minerals, balsamic vinegar contains 7 percent of the recommended daily requirement of calcium, 10 percent iron, 8 percent magnesium, 5 percent phosphorus, 8 percent potassium and 17 percent manganese. Balsamic vinegar is also good for the heart and circulatory system--it is low in sodium, very low in saturated fat and has no cholesterol. Balsamic vinegar contains polyphenols, which are known anti-cancer agents. Vinegar is a natural disinfectant. It is one of the few agents that will kill toxic mold. Vinegar also kills bacteria and other germs; it helps to restore the natural "ph," or acidity, of the human body. Vinegar has been used to treat digestive problems and to reduce acne. Vinegar is commonly used as a vaginal douche and a restorative hair product. 1.Anti-bacterial and anti-viral in nature. 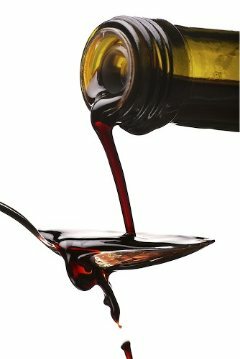 Due to the anti-bacterial and anti-viral properties of Balsamic vinegar, it is used for the treatment of infections and wounds. 2.Provides antioxidants to the body. Balsamic vinegar contains rich amounts of antioxidant called polyphenols. This powerful antioxidant aids in boosting the activity of pepsin-a digestive enzyme secreted in the stomach. It helps in the breakdown of proteins into amino acids, thus speeding up body metabolism. Polyphenols also helps to fight against cell damage and increase body immunity to fight various diseases. 3.Helps to strengthen bones. Balsamic vinegar contains acetic acid that helps in improved absorption of certain minerals that are responsible for strengthening bones. 4. Helps to control diabetes. Balsamic vinegar helps to control diabetes. It improves insulin sensitivity, which in turn leads to better control of and less risk of complications related to the disease. 5. Helps to reduce fat.It is generally used for salad dressing mostly as a substitute for mayonnaise. Health benefit of using balsamic vinegar is reducing the overall calorie intake resulting in reduced body fat. It also reduces appetite and thus prevents frequent hunger pangs that are mostly responsible for obesity. 6.Prevents the occurrence of fatal diseases.The antioxidants present in the balsamic vinegar have the potential to protect the body against many fatal and harmful diseases like heart disease and cancer. 7.Provides energy to the body. Balsamic vinegar has traditionally been used for curing body pain. It also provides the body with energy required for various physical activities. With constant use of balsamic vinegar in your food you can easily make yourself healthy and feel more energetic. The most important thing is balsamic vinegar does not get spoilt easily due to various effects of temperature and moisture and can be stored for long periods of time. Polyphenols is an antioxidant present in balsamic vinegar. This antioxidant protects the body from heart disease and cancer. Apart from this, antioxidants like the one found in balsamic vinegar also improves the immune system and protects the body from cell damage as they guard against harmful radicals in the body. Balsamic vinegar is a blessing for people who are concerned about their weight as works to suppress the body’s appetite and also increases the amount of time it takes for the stomach to empty. This helps prevent overeating which in turns helps you lose weight. When used as a salad dressing or marinades, balsamic vinegar results in a lower calorie intake. Since this vinegar is a rich source of potassium, manganese, calcium and iron it also improves the body’s functioning and weight loss abilities. With balsamic vinegar you can keep diabetes in control since this vinegar improves insulin sensitivity for diabetics. This causes an easier regulation of blood sugar and reduces the unpleasant side effects often associated with diabetes. Another health benefit of balsamic vinegar is that it boosts the effect of pepsin which is an enzyme that breaks protein into smaller amino acids that is more easily absorbed by the body. Even the body’s metabolism is greatly improved because of pepsin. Acetic acid which is also present in balsamic vinegar helps the body to strengthen bones as well as absorb certain minerals. 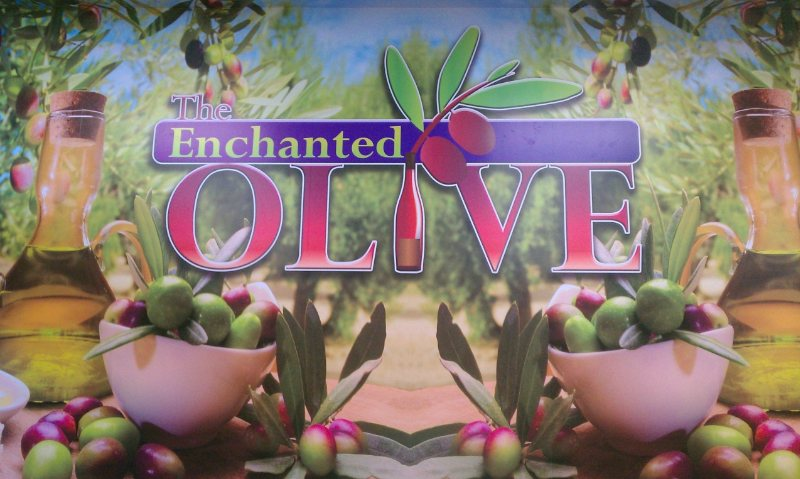 Since ancient times healers have vinegar to relieve people of body pain. Balsamic vinegar is also used to treat infections and wounds because it has anti-viral and anti-bacterial properties. This wonderful product which is a blessing from nature contains a bioflavonoid called quercetin. This bioflavonoid has antioxidant properties which along with Vitamin C help strengthen the immune system in order to fight cancer as well as other infectious diseases and inflammations. Polyphenols also found in balsamic vinegar are anticancer agents. Since balsamic vinegar is low in fat it reduces cholesterol, thus preventing a heart attack. Also the sodium composition in balsamic vinegar is very low so it enhances the health of the heart and reduces high blood pressure. Along with the health benefits referred to above, balsamic vinegar also reduces acne, energizes the body, slows down the process of aging, prevents anemia and reduces the inception of headaches. This wonderful product also acts as a natural disinfectant as it is an agent that kills bacteria, toxic mold and other germs. Balsamic vinegar is also commonly used as a vaginal douche and restorative hair product. Since balsamic vinegar is tasty and has immense health benefits a bottle at home can go a long way in restoring your family’s health.